In small microwavable bowl, mix teriyaki glaze and grated gingerroot; microwave uncovered on High 30 to 45 seconds to cook ginger. 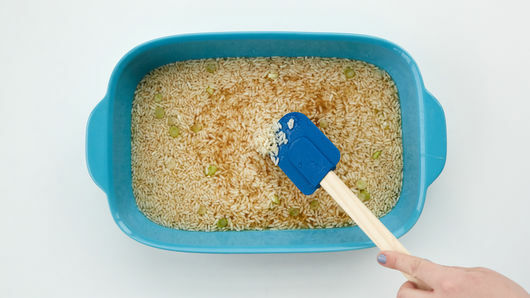 Reserve 3 tablespoons glaze; set aside for using after baking chicken. 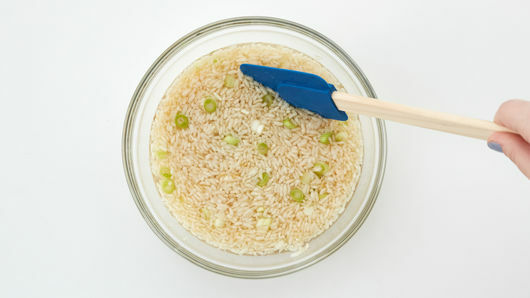 Stir rice, broth, half of the green onions and 1 tablespoon of the glaze in baking dish. 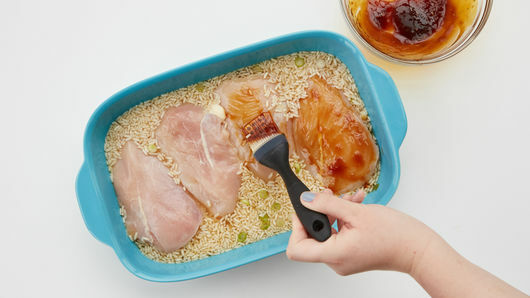 Place chicken breasts on top of rice. Brush chicken with glaze. Cut pineapple rings in half, and place 2 halves on top of each chicken breast. Cover tightly with foil. Bake 40 to 45 minutes or until juice of chicken is clear when center of thickest part is cut (at least 165°F). Top chicken with reserved glaze and remaining green onions. To add a little heat, stir in 1/4 teaspoon crushed red pepper flakes into rice mixture. 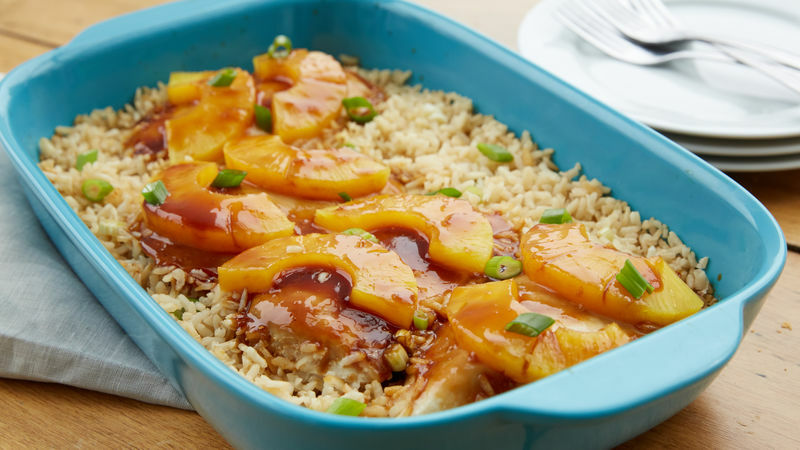 You can add an 8-oz can of drained pineapple chunks to top the chicken in place of the pineapple slices.